Home Driving Growth Scottish Salmon – What’s the catch? Scottish Salmon – What’s the catch? THERE’S no doubting it, Scottish salmon is in high demand. Very high demand indeed. Between April and June this year, 29,000 tonnes of it was shipped overseas to markets clamouring for the fish which some producers can barely farm quickly enough to meet demands from the USA and China. And therein lies the problem, according to the naysayers urging industry leaders to put the brakes on the intensity of salmon production. The second quarter of 2017 saw export sales soar almost 70% on the previous year, hitting a new record high of £345 million. Terrific news for all of the thousands involved in the expansive employment chain, but not something that’s bringing much joy to the faces of various environmental campaigners. It’s not just the green crusaders who are despondently raising eyebrows either. Some business experts are also becoming fearful that a certain greed is clouding the thinking of those within the salmon industry into avoiding addressing sustainability. “This sudden boom could soon spell doom for the Scottish salmon industry,” claims analyst Levi Krasner. “Demand has risen at an unprecedented rate, but it is being met because that’s the nature of business – just like any other industry, the driving factor behind it is money. For all the concerns – environmental, sustainability, or otherwise – there’s no escaping the fact that salmon is the current high-flying export business in Scotland. Demand is through the roof, supply is being met, and money is there to be made – it’s the very basic format of a successful mass industry. As for its robustness in terms of delivering a sustainable industry, supporters would argue that it is reasonably Brexit proof. 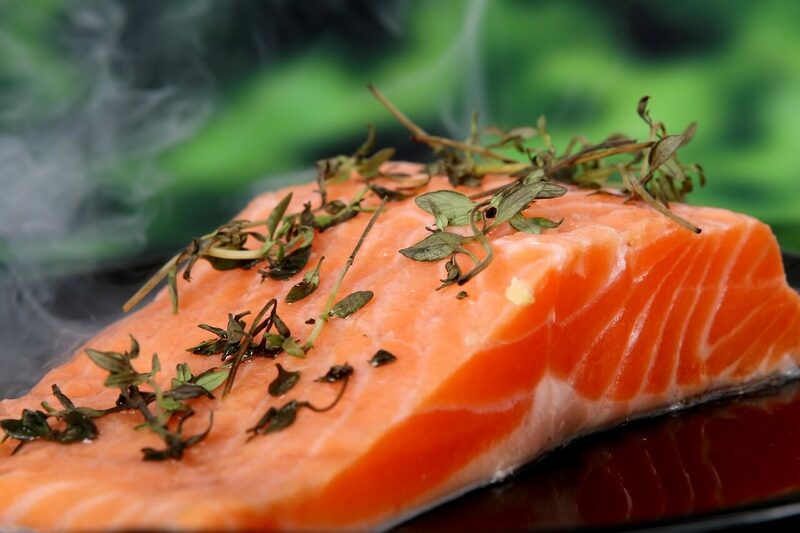 After all, the majority of Scottish salmon is exported to the USA, but a strong market (and one which was virtually non-existent until last year) is developing rapidly in China where, according to HMRC figures, a remarkable £44m of sales were made in the second quarter of 2017. Currently, fish produced by Scotland’s ‘aquaculture’ can be found on supermarket shelves in more than 60 countries. And, taking into account the enormous supply chain that stretches well into many rural economies, experts believe the industry has the potential to deliver the sort of figures only previously experienced during the nation’s oil rich years. It’s also worth noting that a collaborative drive between Holyrood and business leaders has set out an ambitious growth target that expects to see the impressive figures posted this year being doubled by 2030. Couple those targets with the number of jobs that could be created against the backdrop of generating millions, if not billions, of pounds for future generations, and even with a cynical filter it is easy to see why salmon farming is such an attractive proposition for a country keen to stand on its own two feet, financially speaking. One man spearheading the rush to increase production is Scott Landsburgh. Although, arguably, as the chief executive of the Scottish Salmon Producers’ Organisation, he has a vested interest. He says Scotland must be prepared to embrace the opportunities that present themselves in a better connected and more prosperous world. “Consumers demand both high quality food and traceability from source to plate, and we are fortunate to have held the French government’s prestigious Label Rouge quality standard for 25 years,” he explains. “We have built upon this to enter other export markets such as the United States and the Far East, and they all want the same thing – quality and provenance. “Farmers are dedicated to delivering the freshest, tastiest, most nutritious salmon money can buy, which means success has been no accident. As the figurehead of the country’s salmon industry, Landsburgh himself has faced his fair share of condemnation from various bodies, including celebrities like Jeremy Paxman who has been extremely vociferous in his disapproval of salmon farms. The television presenter – a keen angler – claims an increase in the number of fish farms has coincided with a decline in wild fish stocks, labelling the farms ‘a breeding ground for sea lice’ which, many who are against the farms say is the wreaking havoc among wild fish population. In a recent editorial for the Financial Times Weekend section, the Yorkshireman pulled no punches as he lamented the loss of free-swimming salmon in the estuaries, rivers and lochs of Scotland. “It’s like a series of floating battery hen sheds,” he slammed. “Salmon has long been sold on the prospect of cleanliness and health, but the impression is fraudulent. “Only a few decades ago you ate Atlantic salmon if you were lucky enough to be a toff or one of his employees – now it is ubiquitous, piled high in supermarket fridges or lying pink and flabby on plates at wedding receptions and awards dinners. “But when you rear fish in the quantities necessary to meet growing demand, you start playing with the environment. Confining naturally migratory and carnivorous animals in packed pens produces enormous quantities of faeces which covers the seabed beneath. “These cages provide ideal breeding grounds for the sea louse. Salmon and trout migrating to the sea or returning to their natural rivers to spawn must swim through clouds of sea lice. One possible solution to the lice problem might be to site the farms further out to sea, away from estuary mouths where they are in the path of migratory fish. It’s a method which has proved successful for other salmon-producing nations, but Scott Landsburgh is keen to see further research done before shutting down farms close to shore and investing in offshore closed containment systems. He also labelled many of the outspoken critics of the industry as ‘trite’. “They’re doing this research in Norway and Canada, and we’re going to be looking at doing something similar in Scotland,” he said. “A lot of innovation is going to take place, and part of that is looking at closed containment, but it’s far from proven. “It’s a bit like talking about electric cars 15 years ago – they were something that could be the future and we’re seeing, 15 years on, that it may become the future, but there’s a lot of innovation work and research to be done before we get there. “We spend inordinate amounts of money ensuring that we’re in control of our sea lice challenge, but the idea that we’re creating disease or parasite problems for wild fish is an exaggeration. “It’s easy for them to say move farms out to sea, but there has been a lot of investment in those farms over the years, and it’s a bit trite to expect us to move fish farms. The sensible viewpoint on Scotland’s hugely successful salmon farms would be to understand that the industry must continue to grow in order to deliver upon the employment and prosperity potential it clearly has. However, it would be a risky strategy to ignore the critics, so it would be only right to expect the farms to be largely off-shore enterprises by 2025 at the latest.